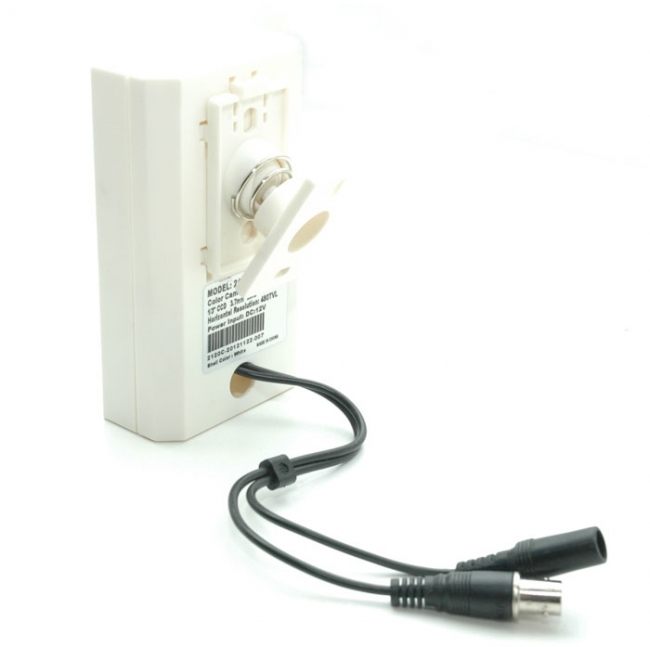 Select a power adaptor if you do not have a 12V DC power supply already. Select cabling for your camera. Cameras only have a small 4 inch pigtail on them. Another very popular covert camera that lets you keep an eye out without anyone knowing it! It includes a built-in SONY Super HAD CCD Color hidden camera that offers the user a 1 Lux rating perfect for lit environments (requires at least a 20 Watt light bulb in the room to see), with 700 TV resolution lines using a pinhole 3.7mm wide angle lens offer a wide 80 degree angle of view! While it automatically adjusts to light changes due to its included internal Iris, you'll also be able to adjust (pivot) it for wall or ceiling mounting. All you need is either a TV or Monitor to plug these into and you're set! 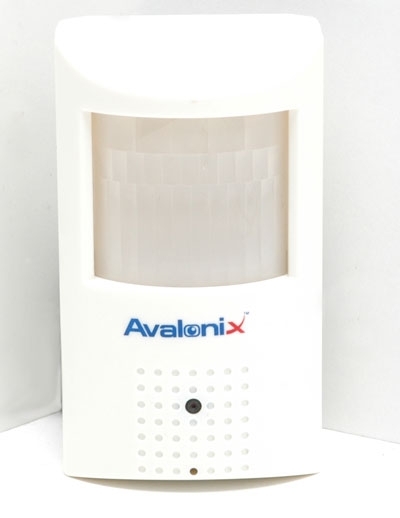 This motion detector hidden camera includes a 500mA Power supply, all you need is a security camera cable and DVR or monitor. 700 TV Lines Resolution - New update to this model! 30 Days Return Policy. Return subject to 25% restocking fee.